You are invited to a unique and epic five course dinner at Nectar downtown. 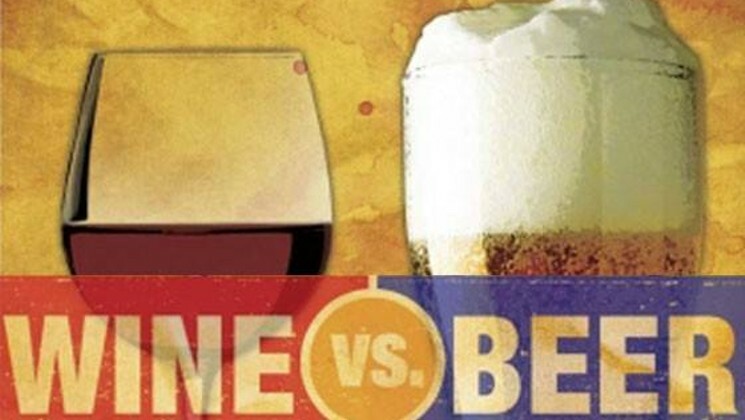 The battle is between wine and beer. The rumble pits Nectar owner Josh Wade (in the wine corner) against Nectar General Manager Ben Simons (in the beer corner) against each other. The prize, bragging rights! The winner, YOU! Chef Steven is preparing an delicious five course dinner menu of his choice. Josh and Ben will then pick a wine and a beer to pair with each course and you will have the opportunity to vote on which is the better pairing. Each course will include 2 ounces of wine and 4 ounces of beer. The wine and beer selections will not be revealed until the night of the event. The battle kicks off at 6pm. Tickets are limited so don’t delay!